Craig Heldman, CEO of Hobsons, and Stephen Smith, Naviance co-founder and Hobsons’ President of Advising and Admissions, kicked off Wednesday of the 8th annual Naviance Summer Institute by challenging Naviance users to answer the question “Why are you here?” Not here at NSI or here in Tucson, Arizona, but here in the education field. Like the Naviance Network of school counselors, teachers, and administrators, Smith said, Hobsons is here to change lives – to help counselors be more efficient at their jobs and to facilitate meaningful conversations between caring adults and students to help young people discover who they are and to make a plan for where they’re going -- in school and in life. Once Smith and Heldman set the stage for NSI 2015, keynote speaker Arel Moodie energized the crowd with an interactive, motivational speech challenging the Naviance Network to engage with each other with high fives and affirmations of “You are AWESOME!” He urged them to bring their “best selves” to the Summer Institute and to school every day so they can see in their students their greatest potential, even if they don’t see it in themselves. Following the opening session, participants shared their experiences, best practices, and tips and tricks in 20+ sessions led by Naviance clients, partners, and Hobsons staff. Attendees could also stop in at the User Experience Lab to interact with Hobsons researchers, designers, and product managers to give their insights on Naviance. Many attended the NSI Networking Lunch with roundtable discussions on a variety of education topics. 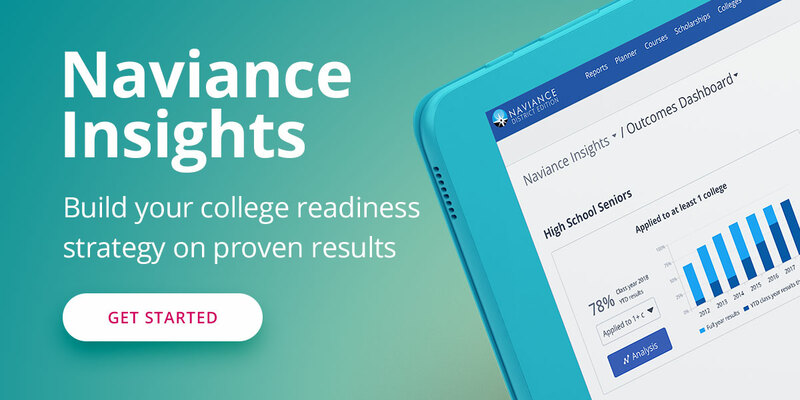 And, participants received a glimpse into the future of Naviance at the Product Forum (stay tuned for an upcoming blog post about the Product Forum). Find photos from the day over at our Facebook Page. Want to join the fun for next year? Subscribe to the NSI e-mail list to learn about early bird discounts, speaker and session details, and other special promotions.